Sign on now to stand with Attorneys General as we fight President Trump’s unconstitutional “national emergency” declaration in court. President Trump’s national emergency declaration is an unconstitutional attempt to steal taxpayer dollars to fund a xenophobic and ineffective border wall. We can’t let this go unchallenged. That’s why California is leading a group of 20 states, with Wisconsin, Massachusetts, Rhode Island, and Vermont joining our lawsuit today, in taking on this abuse of power in court. Can we count on your support as we fight President Trump’s fake emergency? The real emergency is our nation’s child separation crisis. Sign on now. President Trump’s unconstitutional stunt is meant to show his supporters he’s still committed to his campaign promise of building a wall and it’s an abuse of presidential powers. Democratic Attorneys General are on the frontlines of this fight to hold President Trump accountable and protect the rule of law. But we can only keep up the fight with your support. Add your name now to oppose President Trump’s unconstitutional “national emergency” declaration. BREAKING: Trump’s latest budget proposal would cut $220 billion in food stamps funding for low-income Americans. Sign TJ’s petition urging Congress to reject these reckless cuts to food stamps. Trump’s new budget proposal would slash $220 BILLION from the food stamps program over the next decade. These cuts would be an absolute disaster for California families — particularly in California’s 21st District where over 24% of local households utilize SNAP benefits to keep food on the table. Children, the elderly, and people with disabilities in our community would all be at risk of losing the food access they need if Trump gets his way. Can you sign our urgent petition calling on Congress to stop Trump’s reckless cuts to food stamps? It’s a disgrace that Trump would propose balancing the budget on the backs of low-income families after handing billionaires a $1.5 trillion tax cut. It’s not enough that we reject Trump’s budget. We need to protect the tens of thousands in our community who have repeatedly been left behind by Trump and his allies. But we cannot do this without a groundswell of grassroots support. We need 44 more supporters from 93705 to join in and hold this administration accountable. Sign our petition urging Congress to REJECT Trump’s cruel cuts to the food stamp program. To support TJ Cox with a contribution, click here. Thank you for helping to make Universal Basic Income a reality. Paid for by Friends of Andrew Yang. It is time to wage a moral and a political war for health care as a right in this country. It was not long ago that the idea of Medicare for All was dismissed and ridiculed by the corporate media and political establishment of this country. Too radical, they said. Fringe. Crazy. Pie in the sky. Well, they are not saying that anymore. Because today, not only do a strong majority of Americans believe health care should be a right in this country, but it is also a mainstream Democratic Party position. That is because of you. It is because of our 2016 campaign. It is because of every petition signature, phone call, text message, social media post and donation you’ve made. You’ve led the way. It is not because of me. It is because of us. That is the political revolution. For as far back as I can remember, I have always been a proponent of a national health care system. It just seemed eminently fair and right. How can we call this a civilized society when some Americans have access to the best medical care in the world and others are unable to walk into a doctor’s office because they lack money? How can we tolerate a situation where the children or parents of the rich get the medical attention they need in order to stay alive, while members of working-class families, who lack health insurance, have to die or needlessly suffer or go hopelessly into debt to get the care they need? In my view, the function of a rational health care system in this country should be to provide quality care for everyone in a cost effective way, not to make health industry CEOs richer or drive up stock prices on Wall Street. Now, the insurance companies may not like our legislation and the drug companies probably won’t either. They will try to make words like “NATIONAL HEALTH CARE” sound scary. And it will not surprise you to learn that with hundreds of billions in profits at stake, the insurance companies, drug companies and others have already announced that they will spend huge amounts of money to protect their interests as they try to defeat our efforts. But the truth is, for far too long they have been bribing the United States Congress, spending billions of dollars in lobbying and campaign contributions to make sure we maintain a dysfunctional, but profitable, approach to health care. And when I re-introduce my Medicare for All bill in the next few weeks, it is important we make it clear that we are ready to fight harder than ever for the fundamental belief that health care should be a right for every man, woman and child in this country. It is a struggle we are winning. And it is a struggle we will win. Add your name as a Citizen Co-Sponsor of Bernie Sanders’ Medicare-for-All, single-payer health care bill. Do it before he re-introduces the legislation in the Senate. Send an important message to Bernie’s colleagues about support for the idea that health care should be a right in this country. But we hope you’ll stay, because emails are such an important part of how we organize and how we raise money. In fact, there is no single greater source for our campaign’s fundraising than emails like this one. And that’s important, because no one person, not even Bernie Sanders, can take on Trump and the billionaire class alone. We’re not running for office just to win and sit back. This is about running for office to win and implement change. On Friday and Sunday, we tried something new. In East Harlem and East Dallas, we had our first pop-up events where Elizabeth got to meet grassroots donors and thank them — in person — for being in this fight. Unlike a typical campaign fundraiser with only the wealthiest donors who can write the biggest checks, we invited anyone nearby who’d chipped in any amount — $3, $13, $30, or more. These events were incredibly energizing and a ton of fun — so we’re doing more of them across the country. You could meet Elizabeth, too, and she could get a chance to thank you. Chip in any amount right now, and then keep an eye on your emails and texts for information about an event near you. She also might give you a call to say thanks. “It’s great to see a candidate up close,” said another supporter. Events like these are how we’ll keep building our grassroots movement — and how we’ll work on solving a big problem in this country: Big money has too much influence on our political leaders. When candidates fill their schedules with fancy receptions just for wealthy donors, it sends a message that super-rich people have more of a right to spend time with our leaders than anyone else. But the amount of money you can give shouldn’t determine the access you get.That’s why Elizabeth isn’t holding any big money fundraisers only with people who can write the big checks. It gives her more time to meet with grassroots donors like she did in East Harlem and East Dallas. And it means more opportunities to bring people together — creating community, letting people meet their neighbors who are also part of our movement, and reminding us that we’re in this together. But it also means that we rely on emails like this one to raise money, instead of having Elizabeth spend time hobnobbing with wealthy donors. Any amount gives you an equal place in our movement, and every new donation is another sign that our grassroots movement is growing stronger every day. Amy has been talking with Iowa caucus-goers at spaghetti dinners, restaurants and county party meetings. I can tell you that people are excited for an optimistic economic agenda. In New Hampshire, Amy held a town hall and made the gun lobby so mad they started running online ads against her. She’s also met with voters in South Carolina, Georgia, Wisconsin, Texas and Florida (with many more to come). Amy has continued to call out the Trump Administration and its allies on everything from Paul Manafort’s appallingly short sentence to the Administration’s plan to ban transgender servicemembers from the military. And in DC, she’s still working hard to get bills passed and was just named the most effective Democratic Senator of the last Congress! I think we could use some of that in the White House. None of this would be possible without your help. It’s your grassroots donations that pay for the gas to get to Iowa. It’s your support that helps Amy lead boldly and always speak truth to power. And it’s your belief that we can build an America governed from opportunity that drives this campaign. In a crowded field with a lot of great candidates, my motto is to make every day count. Together, we did that over the last month. We wanted to be sure you saw Kamala’s email from yesterday. In just a few weeks, we will close the books on the first quarterly FEC deadline of our campaign, and we need to be sure we reach our goal. In a little over two weeks, we will close the books on the first FEC filing deadline of our campaign. Once we release our fundraising numbers, our opponents — both those running in the Democratic primary and Trump’s team — will dissect our report to get a sense of how strong our campaign is. I will be honest: at the end of this email, I am going to ask you to make a contribution to power our campaign for president. I want you to know why it’s so important, and what difference your contribution will make. The money we raise can’t capture the powerful conversations about the future of our country I’ve had with people on the campaign trail. And fundraising can’t measure the passion of our grassroots activists and volunteers who are fired up and ready to get to work — to do more — to win this campaign. But our fundraising does have direct impacts on the choices our campaign makes right now. It helps us make big investments in our organization that will grow our movement. And it helps us respond to dishonest attacks. Our campaign finance system is stacked against everyday people — corporations and dark-money groups are able to spend as much as they want to sway our democracy. Let’s be clear: this is wrong — but it is what we are up against. 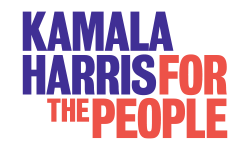 But from day one, I made a commitment to you: our campaign will reject all contributions from corporate PACs and federal lobbyists — instead, putting our campaign in the hands of the people. We are already facing attacks from Donald Trump’s allies — including the NRA — and it will only get tougher from here. There will be nasty attacks and millions spent against us to stop our campaign. But I’ve been taking on tough fights my entire life. I’m not afraid of them. Especially knowing I have you in my corner. So here is where I ask you: can you step up today with a contribution to power our campaign for president? At the end of March when we close out our first quarterly FEC report, I know we will be proud to share the growing number of grassroots contributors who are pitching in what they can to our campaign, whether it’s $5, $10, or $50. I hope your name will be there, too. Thank you for all that you’ve done — and will do — to power our movement. Pete showed up to the CNN Town Hall on Sunday night ready to share his bold vision for our future. He answered questions fully and articulately, and we need more people to see the clips. Please make a contribution today to help us get Pete’s CNN performance in front of people who have not yet heard his name. Below, we’ve included some of our favorite moments and linked each to a video of the full answer. Please forward to someone you know who needs to meet Pete, and let him convince them that they should be a part of this community. The DNC is the only official party organization tasked with helping elect our eventual nominee to the White House. I wanted to take a moment to report back on the DNC’s progress and the objectives of our One-Term President Fund. Last month, we launched the first-ever One-Term President Fund, a fund specifically devoted to taking on Donald Trump and the GOP in 2020 by electing a Democrat to the Oval Office and electing Democrats up and down the ballot. So far, over 42,000 supporters have stepped up to make a contribution and over 12,000 have taken the One-Term President Fund survey to share their priorities for this election cycle — that’s pretty incredible. What’s even more incredible is what this committed grassroots team is already making possible through your support for the One-Term President Fund. Together, this devoted group of Democrats has chipped in bit by bit, to emails just like this one, to fund some of our most ambitious and groundbreaking projects yet. These funds are already being put to work to support the infrastructure our eventual nominee will need to win, so I hope you’ll give me a minute to share more about the work the DNC is doing to defeat Donald Trump and Republicans in 2020. We know the key to defeating Donald Trump in 2020 will be to organize early and put the best team in place to win. That’s why we’re excited to invest in training the next generation of young community organizers to work on the 2020 election cycle through an unprecedented new program, Organizing Corps 2020. The DNC has never invested in organizing for the general election this early in a presidential cycle, and through Organizing Corps 2020, the national Democratic Party will be recruiting and training homegrown organizers in key battleground states including Arizona, Florida, Georgia, Michigan, Pennsylvania, Wisconsin, and North Carolina. Our Democratic nominee will rely on this program to build a world-class field team to organize and win in 2020, so this program couldn’t be more crucial to the future of the Democratic Party. One of the DNC’s top priorities for this cycle has been to overhaul the party’s tech and data infrastructure to ensure that Democratic campaigns can employ smart strategies nationwide. Since 2017, our party has invested heavily in cybersecurity, brought in top tech talent, and we’re rebuilding our data infrastructure to give our presidential candidates completely revamped and state-of-the-art tools. Last month, we took a major step forward in this effort when the DNC and state parties announced a landmark agreement to improve access to voter data. This data agreement unifies our efforts across the progressive ecosystem and puts our candidates in the best position possible to win. The DNC is committed to sustaining the momentum we gained last cycle, which is why we are continuing crucial programs that helped propel Democrats nationwide to success in 2017 and 2018. From A Seat at the Table, an initiative to meaningfully engage and organize with Black women; to Mujeres Mobilized, a program to engage, empower, and organize alongside Latinas; to New Blue Crew, which aims to mobilize young voters and student leaders; the Democratic Party is working harder than ever to lift up our core constituency groups and empower them as key decision makers within our party. Thank you for taking some time out of your busy day to hear more about what the Democratic Party is doing to win the White House and seats up and down the ballot in the months and years ahead. The DNC is the only official party organization tasked with helping elect our eventual nominee to the White House, so your support today will make a tremendous difference in the outcome of the 2020 election cycle. Thanks again for taking the time to read about what the DNC is doing to win in 2019, 2020, and the years ahead. I couldn’t be more grateful to have you on this team. Come take part in Fresno’s Future! 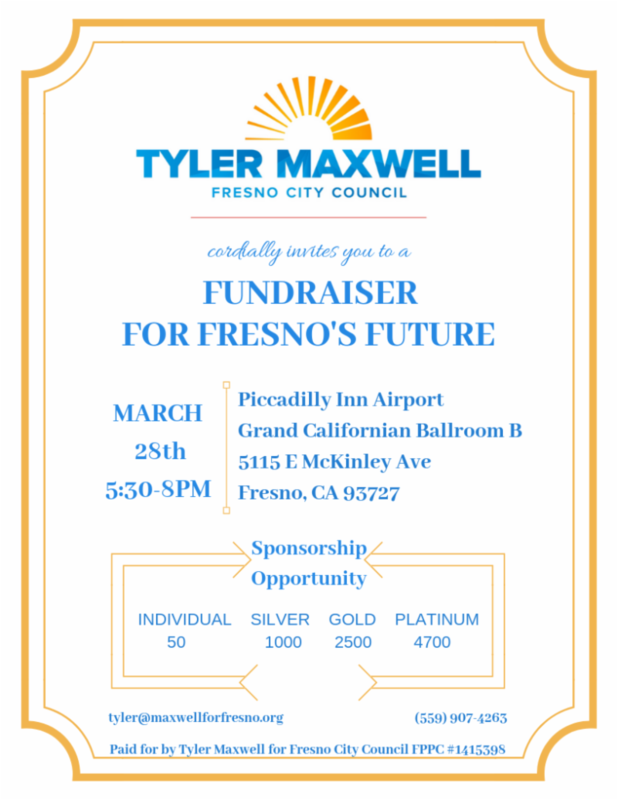 I would like to personally invite you to celebrate the kickoff of my campaign for Fresno City Council, District 4. I am excited to share with you my story as well as my vision for Fresno’s future. I hope that you will join me for this special event. Pete showed up to the CNN Town Hall last night ready to share his bold vision for our future. He answered questions fully and articulately, and we need more people to see the clips. We’re doing things differently on this campaign. It’s a truly homegrown one, and we’re not taking any corporate PAC or federal lobbyist money. That’s because what is most important to me is representing you — listening and meeting people where they are so that we can find common ground and forge real solutions. We don’t have to be a nation governed by chaos. We can be governed from opportunity. We can work together for the common good, make the world a safer place for our children and make sure opportunity for all is a reality. As I make my way across the country, I want to make sure I’m addressing what’s important to you on the campaign trail. Let me know what priorities are on your mind by taking this short survey. Now we’d like to hear directly from you about which issues matter most to you in this campaign. Make no mistake about it, this struggle is not just about defeating Donald Trump. This struggle is about taking on the incredibly powerful institutions that control the economic and political life of this country. And while we have won some victories in recent years, our struggles have not always been successful. So as we begin another campaign, it’s important to hear directly from you about the issues that motivate you. Because at the end of the day, it is the issues that drive the success of our campaign. Share which issues you care about most by taking a few minutes to take our survey. Your feedback is important. Thanks for taking the time to share it with us today.
. But we hope you’ll stay, because emails are such an important part of how we organize and how we raise money. In fact, there is no single greater source for our campaign’s fundraising than emails like this one. And that’s important, because no one person, not even Bernie Sanders, can take on Trump and the billionaire class alone. We can’t tinker around the edges. If we’re going to help make people’s lives better, and our country more just, Democrats need to lead with big ideas. That’s why Cory is proposing some of the most ambitious criminal justice reforms in a generation. A few days ago, he introduced the Next Step Act, which would tackle everything from excessive sentencing guidelines and shameful prison conditions to problematic law enforcement practices and lackluster efforts to help formerly incarcerated Americans re-enter society. He doesn’t just want to decriminalize marijuana offenses — he wants to expunge the records of the people convicted of those crimes in the past to help give them a fresh start, and invest in the communities most harmed by the War on Drugs, namely poor communities and communities of color. Cory’s leading the way on criminal justice reform, and he wants to know that you’re on board — add your name to join this fight. When the news of Paul Manafort’s ridiculously light prison sentence came down, a lot of people were outraged. Trust me: Cory was, too. He told me there was nothing about this criminal justice system that could surprise him anymore. But ever since I’ve known Cory — which is going on two decades now — it’s what comes after the outrage that sets him apart. He rolls up his sleeves and gets to work. He runs toward the hardest challenges, not away from them. That’s how he wins the battles some think are impossible. Some people snickered when he pushed for landmark reforms to our justice system in a Republican Congress under President Trump. But Cory led the way to get it done — and the First Step Act was signed into law in December. And just as the name implies, that was only the first step — now is the time for the next, big step forward. Cory needs your voice. He needs to know you believe that big things like systemic criminal justice reform are possible — add your name today. Last Friday, Elizabeth announced a big proposal to break up the three biggest tech companies. And then, like we do with most things we want to get the word out about, we put up a video ad about her plan on Facebook. But today, we got a notification from Facebook: They were pulling down our video ads. Facebook and Google control 70% of online traffic, so in order to get Elizabeth’s message out online, we have to use their platforms — and pay them for the privilege. Facebook is letting us share our video again (thanks, by the way). But if you want proof of Elizabeth’s point that Facebook has too much power, look no further than their ability to shut down a debate over… whether Facebook has too much power. This is why it’s important to have a social media marketplace that isn’t dominated by a single censor — because at the end of the day, Facebook makes the call on whether an ad, whether it’s from a presidential campaign or a mom-and-pop business, gets to be shown or shut down. P.S. — You might think this is just one instance of Facebook pulling down an ad that could be seen as critical. It’s not — and you shouldn’t have to call Facebook’s publicists in order to have a “robust debate.” Make a donation to fight back today.